Where can I find my save games ? How do you load a certain save game ? How does the Auto-Save work ? How do I backup my save games ? When should I make a backup of my savegame ? Are there other files I should backup ? SerialGUID: This folder is not used anymore. If you still have this folder, you can delete it. Scratch: Only important while playing. Can be ignored for backups. Each save game has a file Slot_<Number>.save and up to 5 Slot_<Number>.save.ver<Number>. This is the current save game and up to 5 backups. This means the game keeps automatically the 5 last states of your save game as a backup. 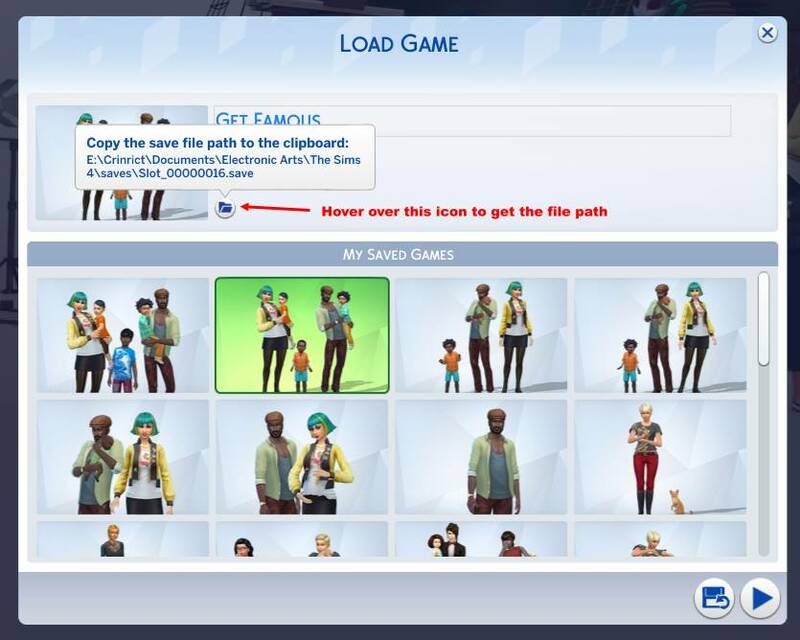 You also have the option to start a completely new game or load a different save game by clicking on the corresponding buttons. Starting a new game, will not overwrite already existing ones. 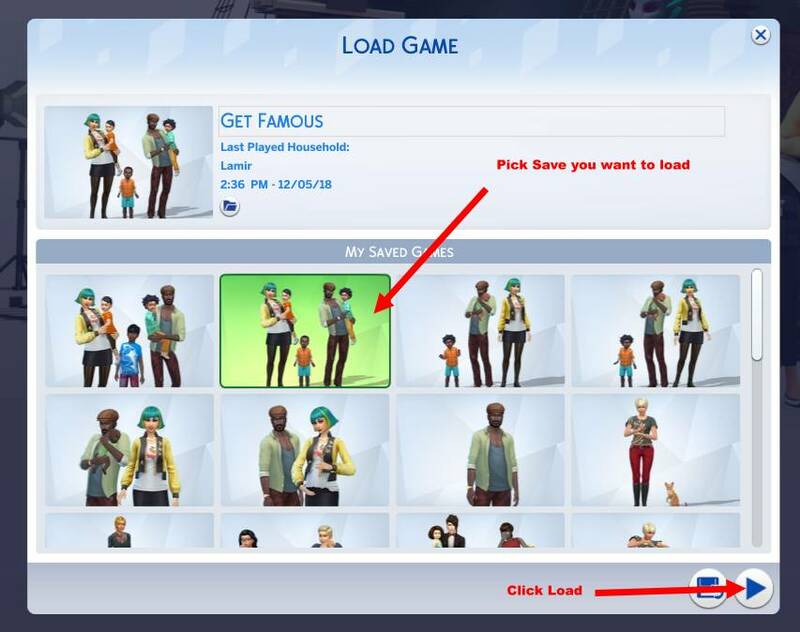 After pressing the load button you will get a window with your save games to choose from. If you just have the big Play button and no new game or load game, that means that the game is not recognizing your save games. This is either cause you just started out, if the game thinks you’re using a different user folder then you think it’s using or if you renamed the save games in the file structure and they no longer follow the necessary naming structure. 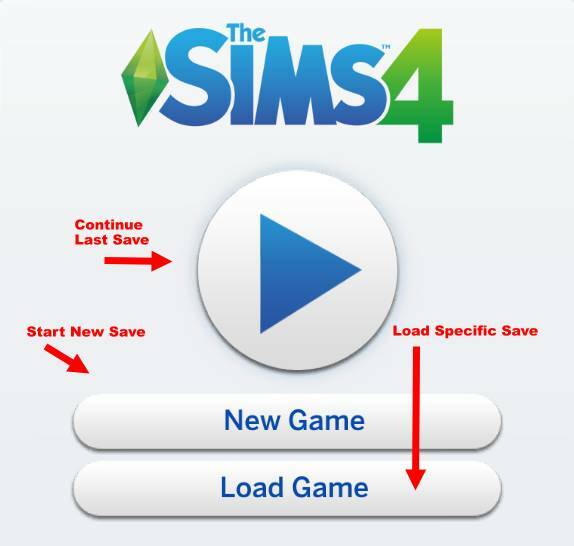 Clicking the continue will open CAS to start a new save. The game is no longer supporting auto saving. Any saves that are named Slot_00000001.save (and the backups) are no longer needed and can be deleted. Mods like MC Command Center offer an auto-save if you want that option. To backup your save games, all you have to do is copy the file Slot_<Number>.save and maybe Slot_<Number>.save.ver<Number> to a save place (external disc, flash drive, other place on your hard disc, DVD, …). You could create a folder SimsSaves for this. 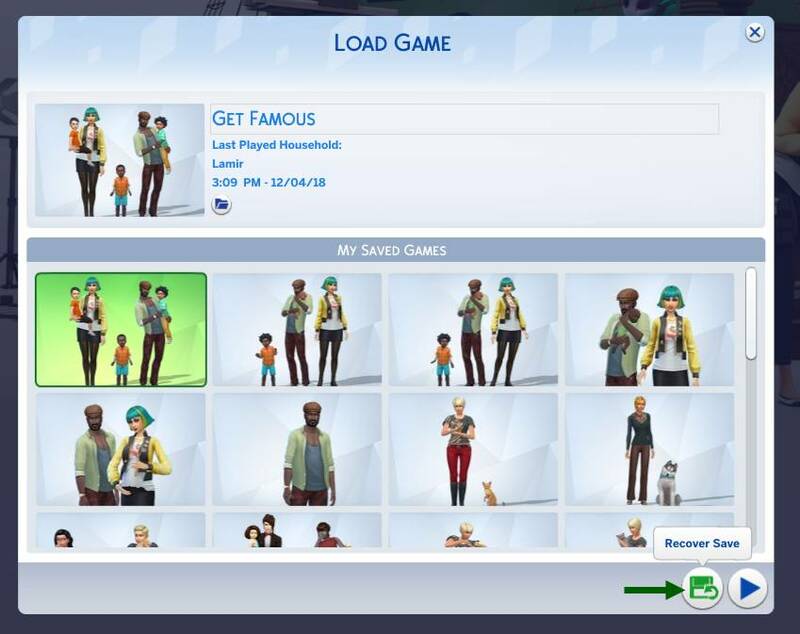 Since the save games do not have names that tell you what is what, it is best to create a folder for each of your games and put the current save game and it’s backups in there. Use a name you can remember for the name of the folder. I do not recommend renaming the files itself since you would need to remember to name them back. You can also use the save as option in game to give the game a new name. This way you don’t overwrite the old one. The save game gets a new slot number. When should I make a backup of my save game ? A backup is important before the installation of each patch/expansion pack. Also backup your files before you get a new computer so you can move everything over. I also recommend to save before a big event like a wedding or moving. Use a different name to save under. You can restore backups directly from within the game. To do so, click on the load button on the main menu and choose the save you want to restore the backup from. Then click on the recover button. You will get a list of all available backups that you can choose from. The date will give you a clue how old they are. Choosing one will create a new save game with [Recovered] in the name. You can then load that save and play from there. This only works for recovering one of the automatic backups that are made each time you save the game. Use Manual method below for backups you have made yourself. If you want to overwrite your current save game with one of the backups, all you need to do is to delete the file Slot_<Number>.save (or move if you want to keep) and then rename one of the Slot_<Number>.save.ver<Number> in Slot_<Number>.save. This will make the game recognize the save game as legit and show it in the game. If you have your own backups you can also delete the Slot_<Number>.save (or move if you want to keep) and then copy your backup back in the saves folder. It’s best to save all user files. More can be found here: Backups.